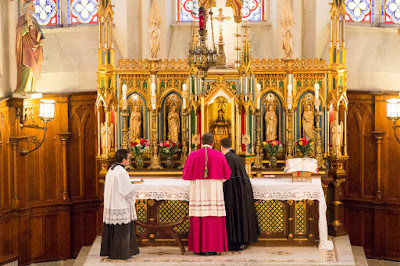 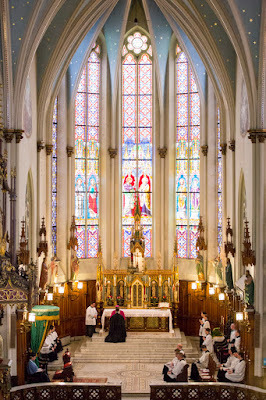 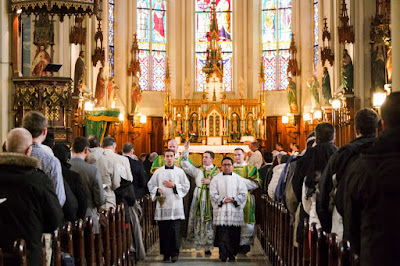 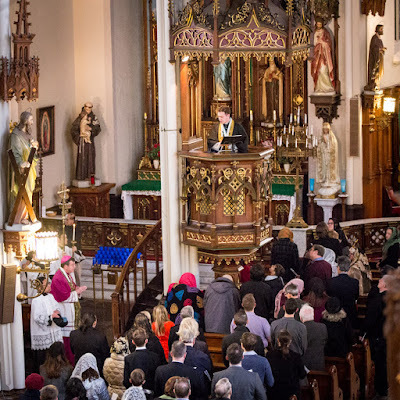 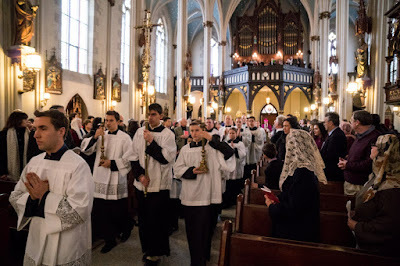 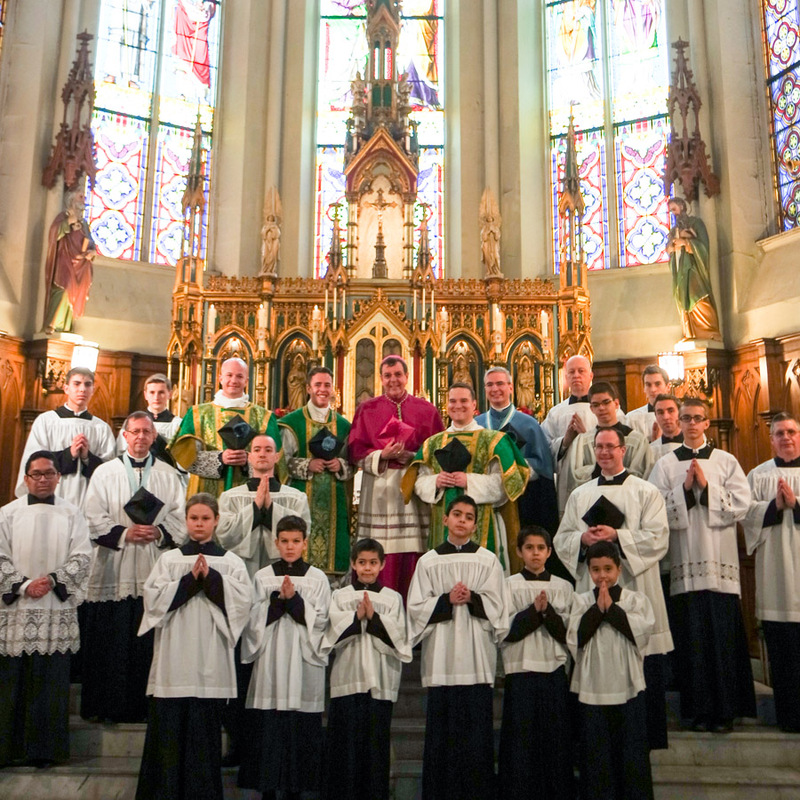 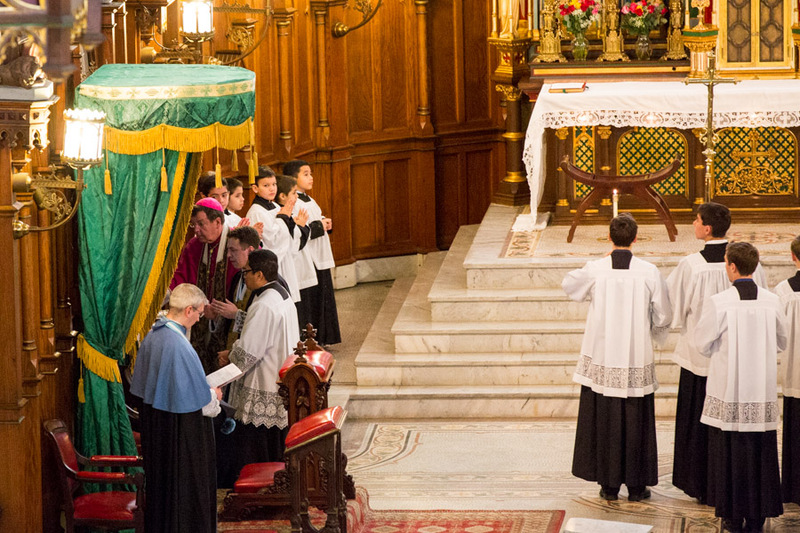 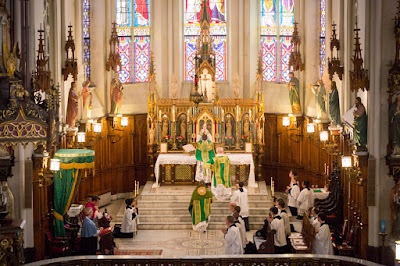 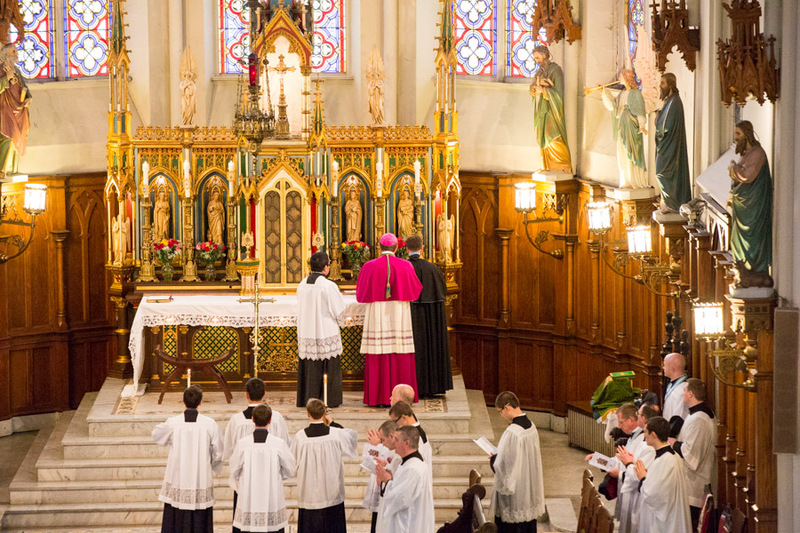 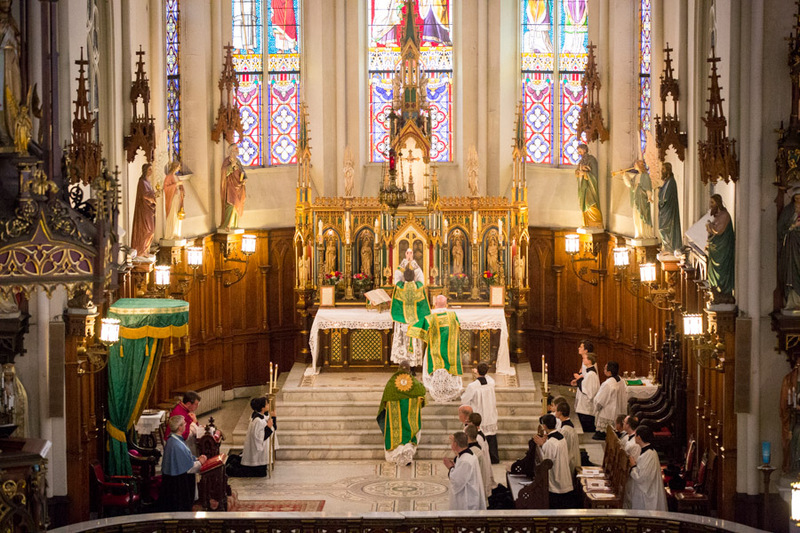 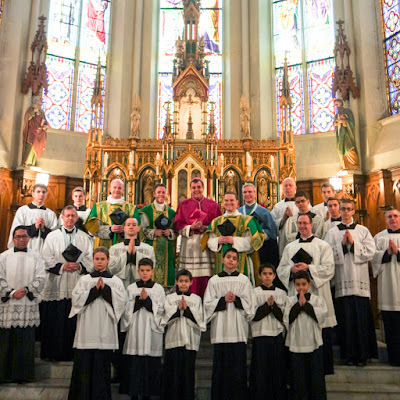 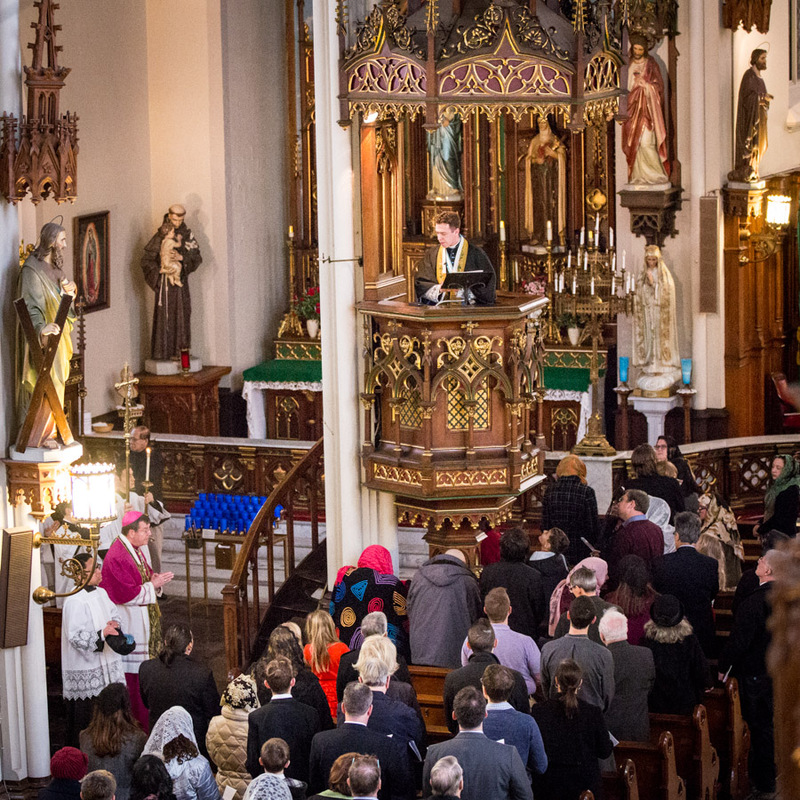 The Schola chants the Magnificat antiphon and verse from Second Vespers of the feast of the church’s patron, St. Joseph, Spouse of the Blessed Virgin Mary, and the pastor sings the Collect from the same feast. 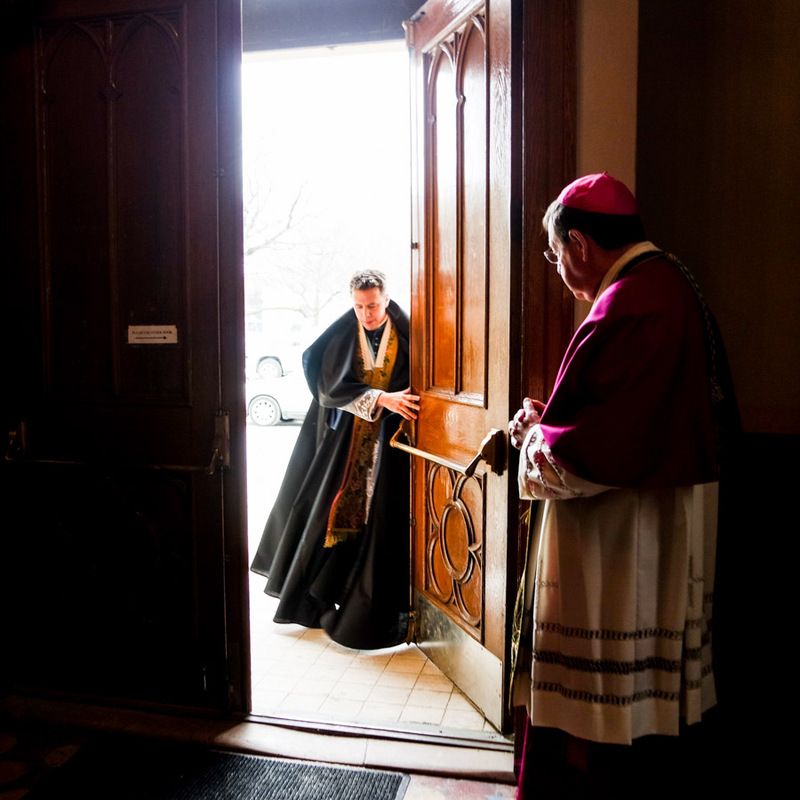 to enter the confessional, (here, one of four in the church). 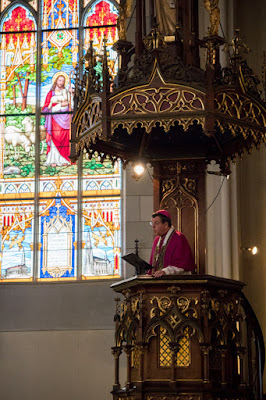 Finally, the Archbishop invites him to ascend the high pulpit. 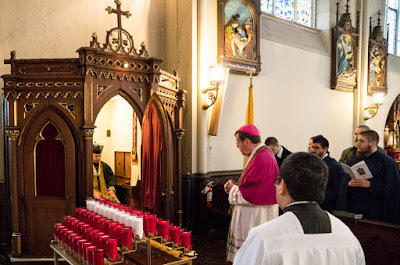 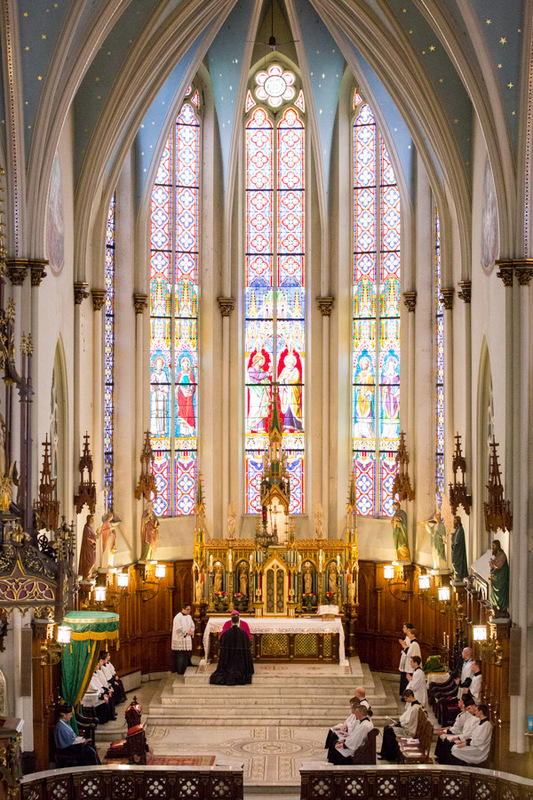 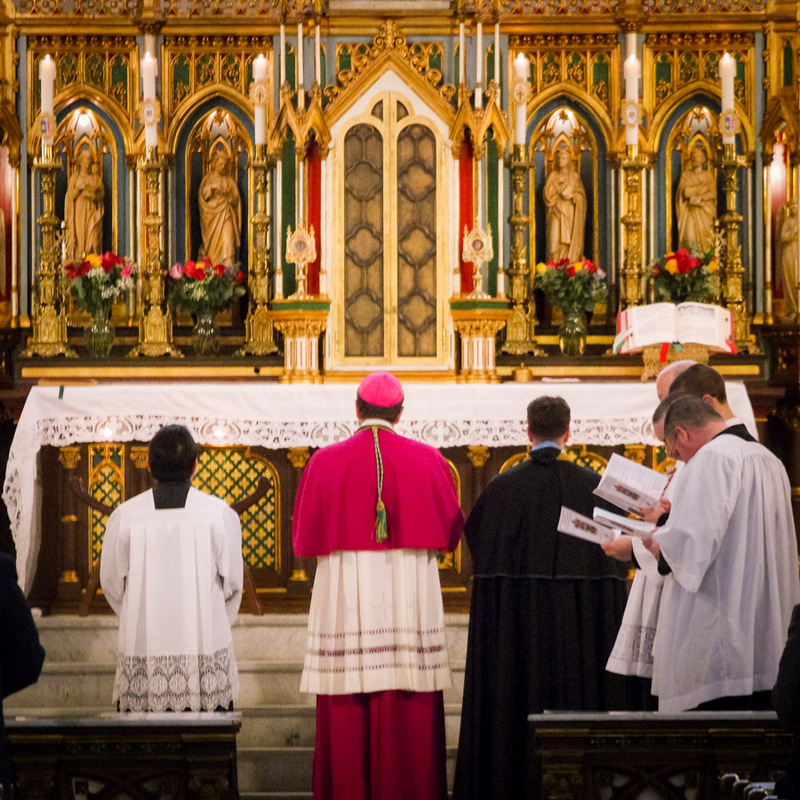 Canon Stein briefly reflected on how the Installation shows so beautifully that within Holy Mother Church, any and all authority is received. 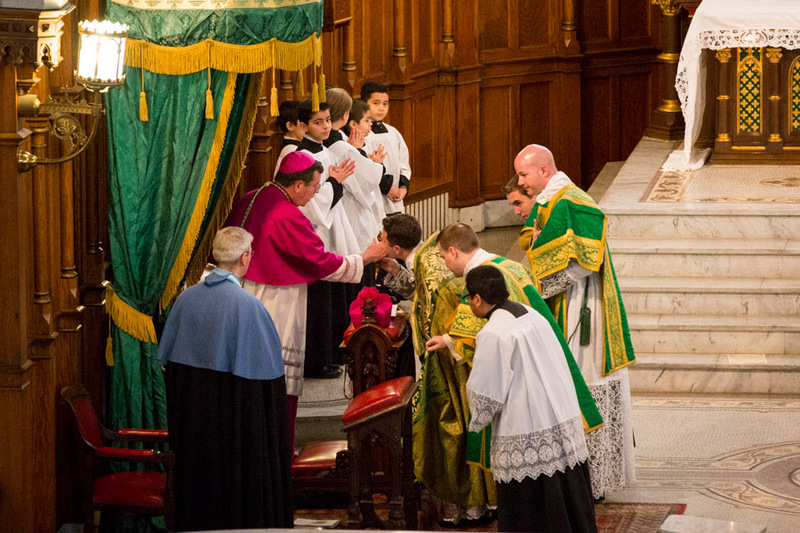 St Peter received it from Our Lord, the bishops receive it from the Apostles, the pastor from the bishop. 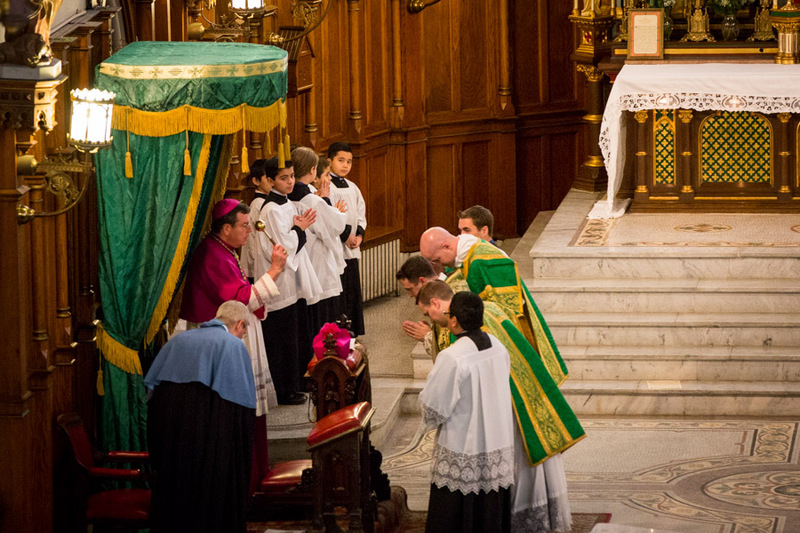 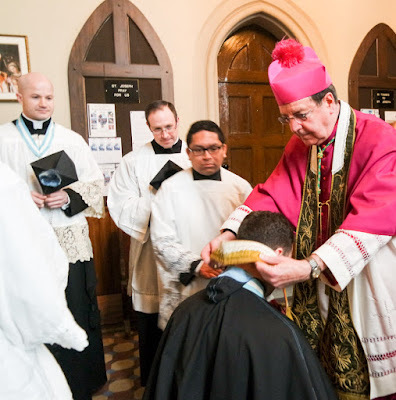 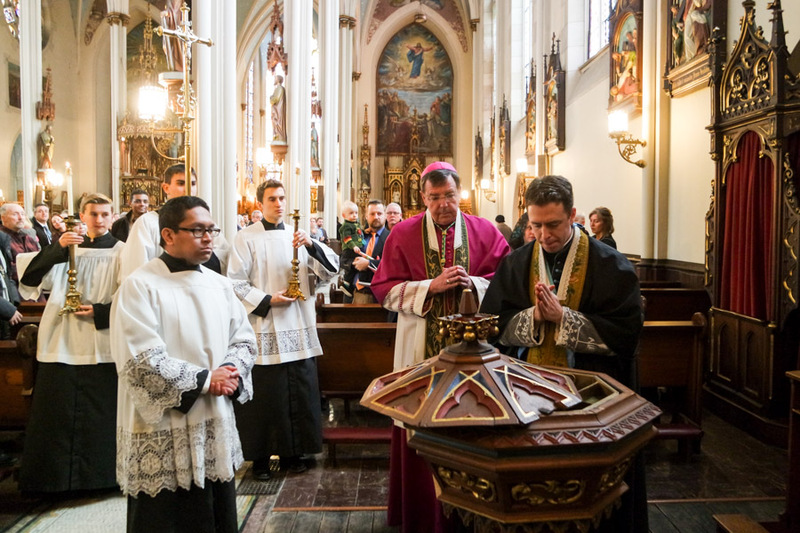 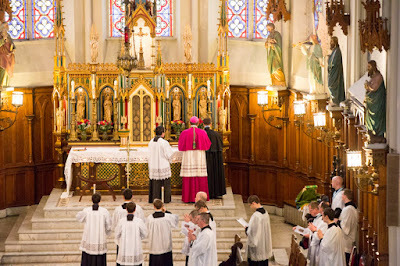 During the Asperges, the Archbishop blesses the Ministers.